I have a neutralizer but it is not raising the pH to the 7 to 8 range which I had hoped for. I don’t know who made or installed the neutralizer, it came with our house when we bought it. It does use up the calcite over time and I added more, but still, sometimes the pH is less than 7. Our well water is pretty acid, I think it is about 5.6 or 5.8. What can I do, install a soda ash feeder? 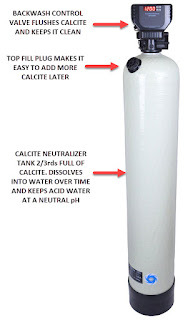 We like the idea of adding calcium and I understand soda ash has sodium in it, so we wished the calcite neutralizer worked better. Any help you can give would be appreciated. This is a common problem, and it might be because you are using straight calcite. Because your pH is less than 6.0, it would work better to add some magnesium oxide (which adds magnesium, not calcium). For pH levels below 5.0, we generally recommend a chemical feed pump injecting soda ash for residential applications, or sodium hydroxide for commercial and industrial applications. But since your pH is above 5.0, a blend of 90% calcite and 10% Corosex or Flo-Mag (same material, different brand names) by weight will do the job. Use 100% calcite if the pH is from 6.0 up to 6.9. Calcite is a safe, easy to use, natural product made from high purity limestone. 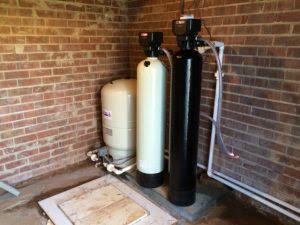 It is specially selected and sized to optimally adjust pH in potable water systems. 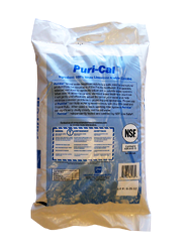 Having used various brands over many years, the one we like the best is Puri-Cal. It is mined in Washington state and NSF certified for drinking water. It is clean, white and dissolves readily, unlike some types we used in the past. 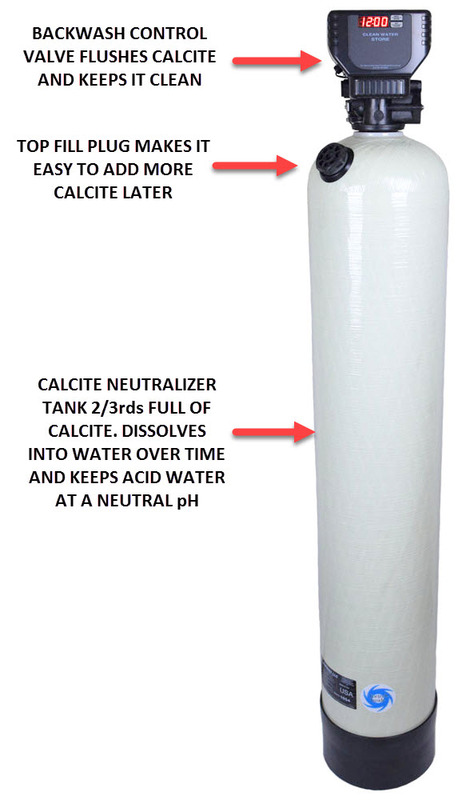 When used in your calcite water neutralizer it will gently and effectively adjust the pH of your water and help minimize corrosion problems in plumbing and appliances. However, if the pH is less than 6.0 then it works better if you blend or add some magnesium oxide (“Mag Oxide”) to it. Mag oxide is sold under various brand names such as Corosex, Flomag, and other names. 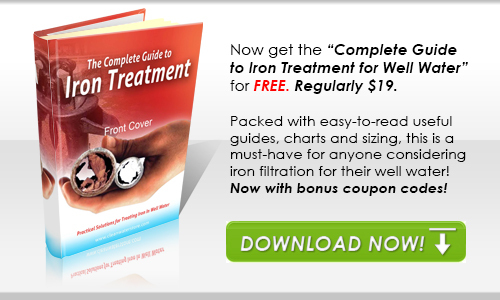 It is also a natural product made from mineral sources. If you use too much Mag Oxide in the blend, it can raise the pH too high. A mixture of about 80% or 90% calcite to 20% to 10% magnesium oxide works well. Calcite dissolves more easily and rapidly if the water isn’t very high in hardness. If the water already has a high level of hardness in it, then the calcite won’t dissolve properly. Generally, this is not a big problem because typically acidic water is also naturally soft water. However, if the water is over 10 grains per gallon (or about 171 mg/L) then it is best to use a chemical feed pump and inject a soda ash solution and not use a calcite or mag oxide blend system. I hope this information helps and finds you well, should you have any questions or require additional documentation simply let me know.